Don’t place your child in the middle. Children CAN testify, even if they shouldn’t. Children DO GET a SAY in their custody if they are 12 or older and choose to. However, the child does not get to “pick” where he or she will live. They get a vote that is to be considered, but does not have to be absolutely followed by the Court. Additionally, as a parent, you should avoid putting the child in that situation when/if possible. In fact, you should avoid placing your child in the middle of any disputes between you and the other parent. It is not good for the child and not good for your relationship with them. Matthew Thompson is a Mississippi Child Custody lawyer and reminds you to be a parent first. A child witnesses of tender years, 12 and under for testimony purposes, testifying is subject to the discretion of the Judge. The first hurdle is whether the child is competent to testify. The Judge has considerable discretion in conducting proceedings of this type, meaning it’s the judge’s decision. The court should not, however, reject outright proposed testimony of a child in custody proceedings, where the omission of such crucial testimony might be harmful to the child’s best interests. as well as the competency of any evidence which the child might present. Whether the child should be sheltered from testifying and being subjected to a vigorous cross-examination. The Judge should report the essential material matters developed at the in camera conference on the record. The Court should note the factual information which the court developed from the conference with the child which would be considered by the court in its ultimate determinations in the case. A child testifying should be avoided if at all possible. Child Testimony No-no; When having your child testify is the Wrong move. Sometimes family law is the pits. You are in the fight of your life against the one person who promised before God and everybody to always love and cherish you. Where’s the love now? But dragging others into the fight may be the wrong move. I routinely see parents wanting to bring the kids in to testify, while stating that they do not want to bring the kids in to testify. Kind of a sorry-not sorry attitude. Child testimony is permissible. There are some Gate-keeping obligations of the Court to apply prior to actual testimony being allowed. There are also various methods used by various Judges on taking child testimony. However, more basic than the trustworthiness of the testimomy and whether it should be in chambers or in open Court, is whether the child should be in that position at all. The Mississippi Supreme Court stated, “We reiterate that parents in a divorce proceeding should if at all possible refrain from calling any of the children of their marriage…as witnesses, and counsel should advise their clients against doing so except in the most exigent cases.” Jethrow v. Jethrow, 571 So. 2d 270, 274 (Miss. 1990). If there are not exigent circumstances, i.e. ; abuse, criminal activity involving the child, physically dangerous activity and there is no other means to corroborate these facts, testimony may be required, but if it’s run of the mill dad did this or didn’t do that, or dad let the girlfriend give her a makeover, or mom’s boyfriend took them to Chik-fil-a, and these persons are not dangerous persons nor prohibited from being around per a Court Order, child testimony should be avoided. Think about it from the child’s perspective, not your own. Your job is to do what is best for them, every time. 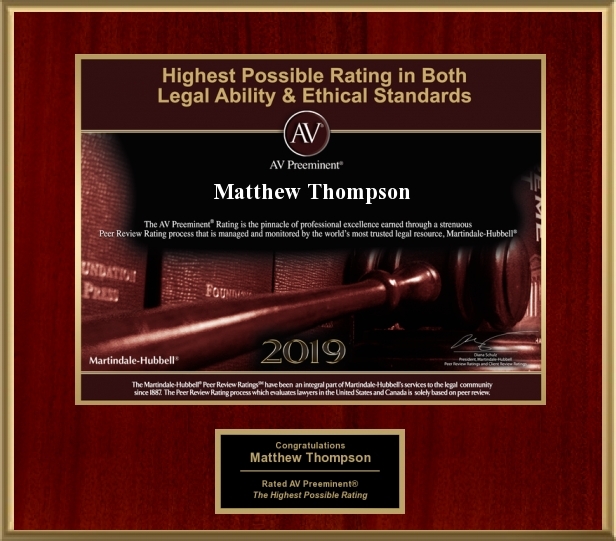 Matthew Thompson is a Child Custody attorney and cautions you on relying on child testimony when it’s not necessary.